Purple Button Couture: Who's taking money out of your pocket?? 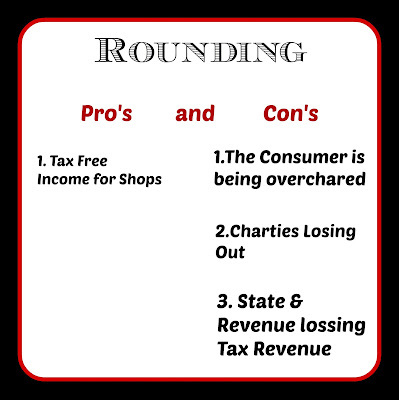 Rounding cons! Who's taking money out of your pocket?? 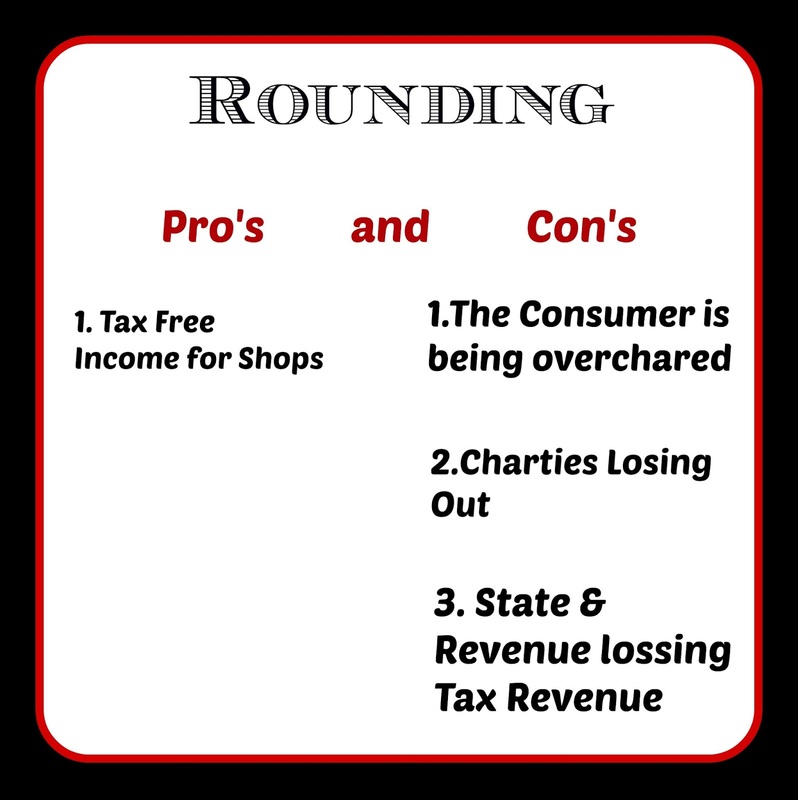 Rounding cons! Now maybe everyone has not heard about rounding but this is my pet peeve! It is daylight robbery!! I mean are we really that stupid that we are allowing people to take money out of our pockets!!!! So if you don't know what I am on about "Rounding" is the concept that if your shopping costs €2.99 you pay €3. That doesn't seem that bad does it? What about if your shopping costs €2.96 you still have to pay €3!!! 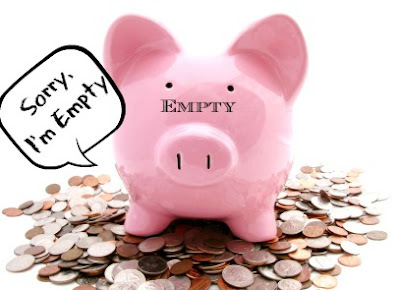 So you are giving the shopkeeper €0.04 for doing nothing you are getting nothing in return for your money!!! Just How much is being robbed from my Pocket??? Think about it this way, you probably buy more than one thing every day be it your morning take-away coffee, your lunch, groceries, beauty products... etc. etc. So that could be 16 cent a day! !1 That's €58.40 a year!!!!! 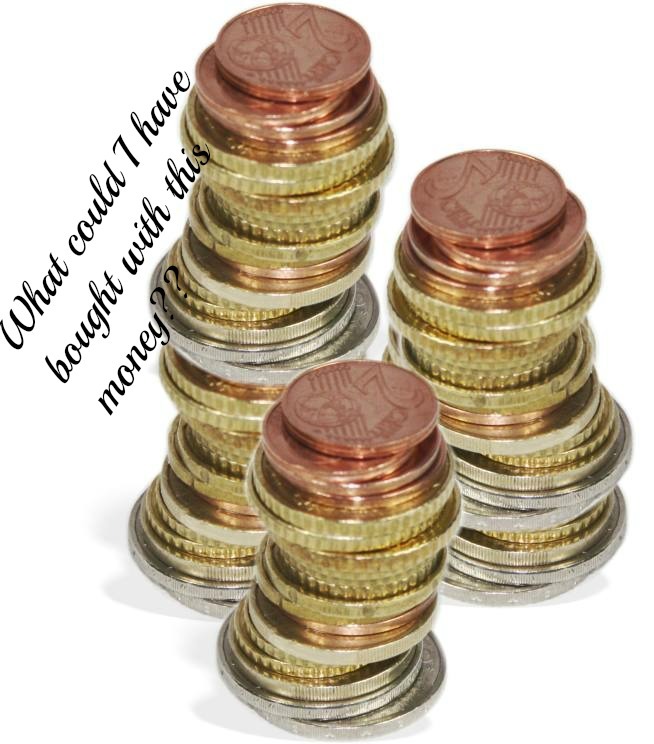 Think about what you could have bought for that!!! And that's a minimum!!! That's like filling your car with petrol! Rent? A fancy meal? It's not just this but I have and a lot of people I know have a savings plan of putting your change in a jar every day and at the end of the year you can get yourself a treat or just have this as an emergency stash of cash for those bad days!!! I mean that's a years meals on the McDonalds eurosaver menu!!!!!! I have yet to have any purchase rounded down!!!! It's illegal for a shop to refuse to give you your change!!! Also this "scheme" (scam) is voluntary , you don't have to be robbed but try asking for your correct change!!! I mean I have been verbally assaulted by shop staff!!! for what asking for my change!!! This by the way is illegal!!!! They have to give you your change so persist!!! We have to stand up for our rights as consumers!!! If you went into a shop and bought a bar of chocolate for €1 and paid with a €50 note and then the shopkeeper refused to give you your €49 change then that would make you furious!!! So this rounding scam makes me furious!!! 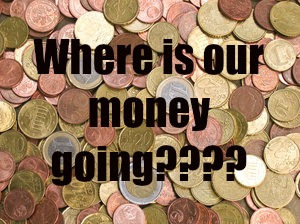 So Where is my Money going??? Where is this money going??? 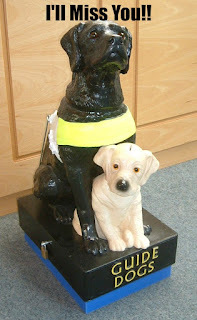 It hasn't gone through the books at the till, your receipt, the accounts lodged to the relevant authorities??? So where has it gone??? That's right straight into the shop owners pocket!!!! No tax is paid on it?? It's not declared??? I'm curious how this will be accounted for at the end of the year??? It's not just us the consumer who has been robbed!!!! 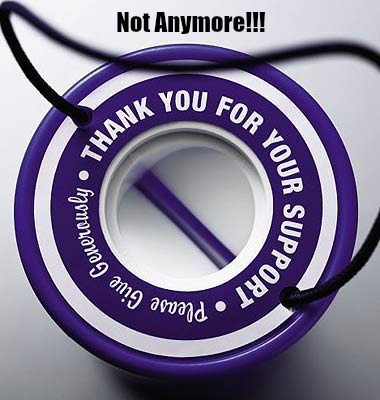 Yes you know the Charity boxes at tills, which usually support local charities, which we all might need some day, yes they are being robbed!! In the past anyone who didn't want to soil their hands with change just put their change into the charity box. This adds up quickly as it's just 16cent a day each bit a shop could have 100's if not 1000's of customers a day, so over the whole country charity is losing MILLIONS!!!! 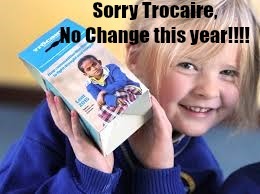 Sorry Trocaire Box... Not this year!!!! Think about shops like dealz where everything is €1.49! That means there is 1c undeclared income/overcharging for every purchase!! Now have you ever seem this shop empty.... no there is always a huge q!!!! One can only imagine the company owners rolling around in the millions of tax free income!!!! I have given you a lot of con's here but I can't really think of any pro's?? Except that for the shop owners??? So tell me your opinion??? 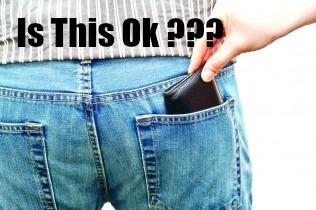 Are you ok with your hard earned money being stolen?? ?